Think back to last October. Imagine you or someone you know had $100,000 to put to work, but was extremely risk averse. In a worst case scenario, such as a major market correction, they were unwilling to risk a decline of more than 6%. What approach would you have taken? 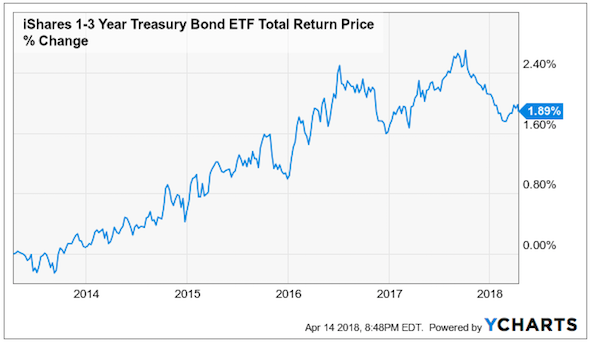 Maybe you would have used a short duration government bond fund such as the iShares 1-3 Year Treasury Bond ETF [SHY]. If so you would have generated respectable, better-than-cash return of 1.89% from October 12th to April 12th. Let’s look at what Portfolio Armor would have presented you with then, and see how it did over the next 6 months. The primary securities here were IDEX (IEX), Mastercard (MA), Raytheon (RTN), and Xylem (XYL). They were selected because they had the highest potential return estimates, net of hedging costs at the time when hedging against a >6% decline, and they had share prices low enough that you could buy a round lot of one of them for less than $25,000. JD.com (JD) was added in a fine-tuning step to absorb leftover cash from rounding down to round lots of the first four names. 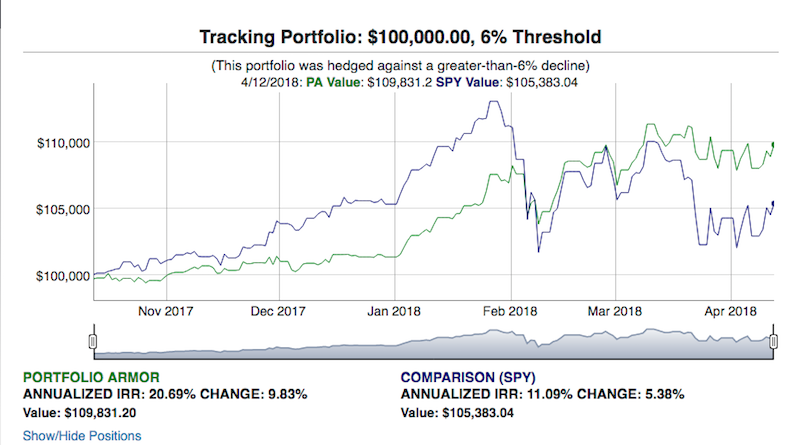 The worst-case scenario for this portfolio was a decline of 5.78% (the “Max Drawdown”), and the best-case scenario was a gain of 15.3% (the “Net Potential Return” or aggregate potential return net of hedging cost). The “Expected Return” of 5.68% was a ballpark estimate taking into account that actual returns, historically, have averaged 0.3x Portfolio Armor’s potential return estimates. We time-stamped this portfolio on Twitter in this tweet a few days later. 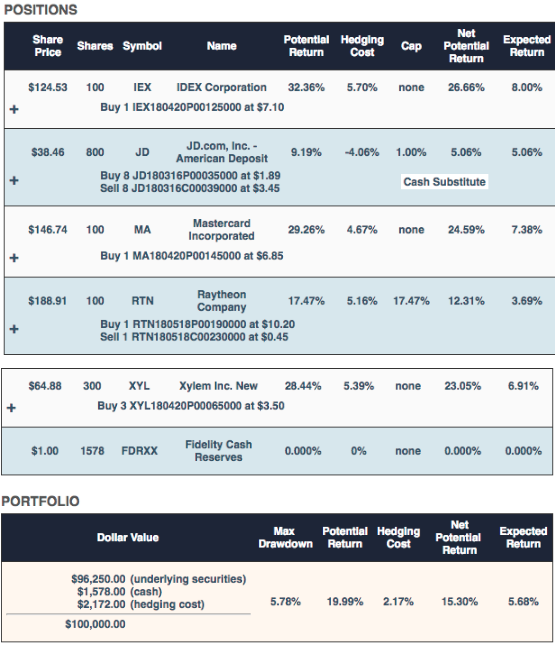 Here’s how the portfolio performed, net of hedging and trading costs, and assuming the hedges were opened at the worst ends of their respective spreads.